Unfortunately without any official statement it’s hard to say if these screenshots are really from the cancelled GTA 64, but it’s interesting to notice that in the official design document for Grand Theft Auto (at the time titled “Race ’n’ Chase”) the game was indeed planned to be released on the “Ultra 64”. Cutie Poo is a cancelled action / platform game planned for Mega Drive and Amiga that was in development in 1990 by the legendary DMA Design team (Lemmings, GTA, Body Harvest), and it’s probably one of the lost games with the most bizarre titles ever. Cutie Poo was conceived from a character animation created by Gary Timmons just for fun and inspired by Disney cartoons and their smoothly animations: when David Jones (DMA founder) saw Gary’s animation he was so impressed that proposed him to develop a full game using that same character (named Bob). “When Tony started on Cutiepoo, he and Gary sat down and came up with a simple game design. Basically, Cutiepoo (the main character), was trying to save little furry Tribbles (as inspired by startrek), from a character called Doc. Mallet. This was the days of simple games, and true to this mantra, Dr. Mallet ran about trying to kill the tribble by squishing them with a huge mallet. This all took place inside a chocolate factory – for some reason. It seems that the main objective of the game was to guide Bob through the levels and find the exit as fast as possible, while avoiding traps and trying to save as many Tribbles as possible. Tribbles would also move around the levels and could die in traps or be killed by Doc. Mallet. Unfortunately Gary’s fluid animations became a pain to code into the game and after a year of development Tony didn’t make enough progress, so DMA decided to cancel the project and focus their efforts on other, more successful games (such as Lemmings). A playable demo of Cutie Poo was shown at the European Computer Entertainment Show London in September / October 1990, along with other DMA demos such as Walker and Gore (another cancelled Amiga action game), so we can still hope that one day someone could find this demo and share it with the world. Gore is a cancelled side scrolling action game planned to be released for Amiga/PC/ST in 1990, in development by DMA Design and published by Psignosis. The project was canned early in development when it became obvious that there wasn’t enough memory for all the graphics. Some images from this lost game were shared online by Mike Daily on his Flickr account, other scans and info are from Javalemmings and PsygnosisAmiga! 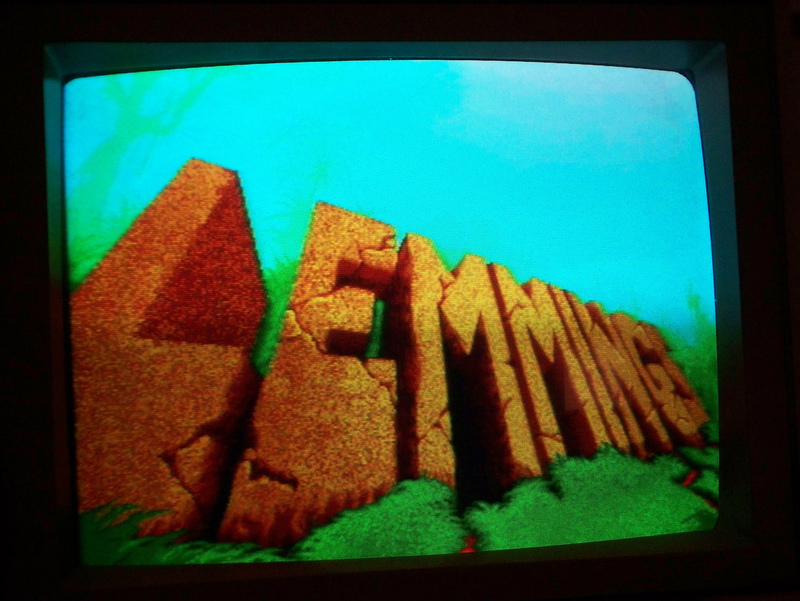 Lemmings is a puzzle game developed by DMA Design (now Rockstar North) and published by Psygnosis in 1991, originally for the Commodore Amiga.